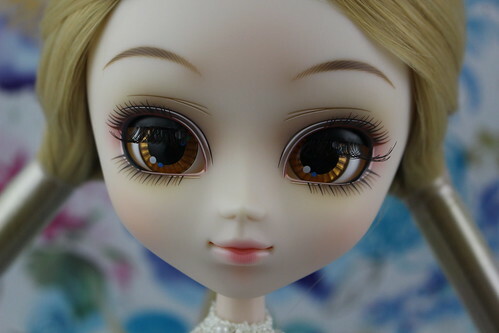 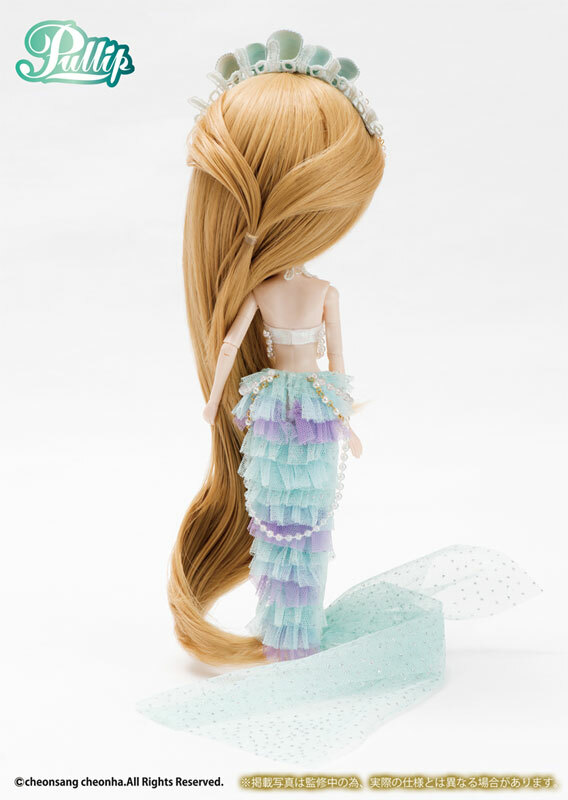 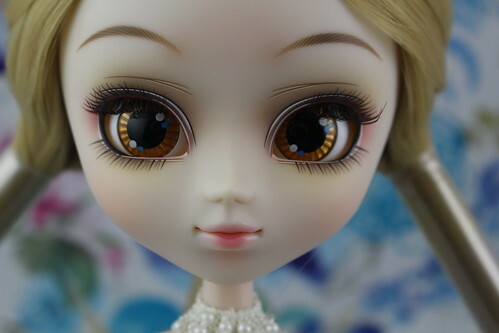 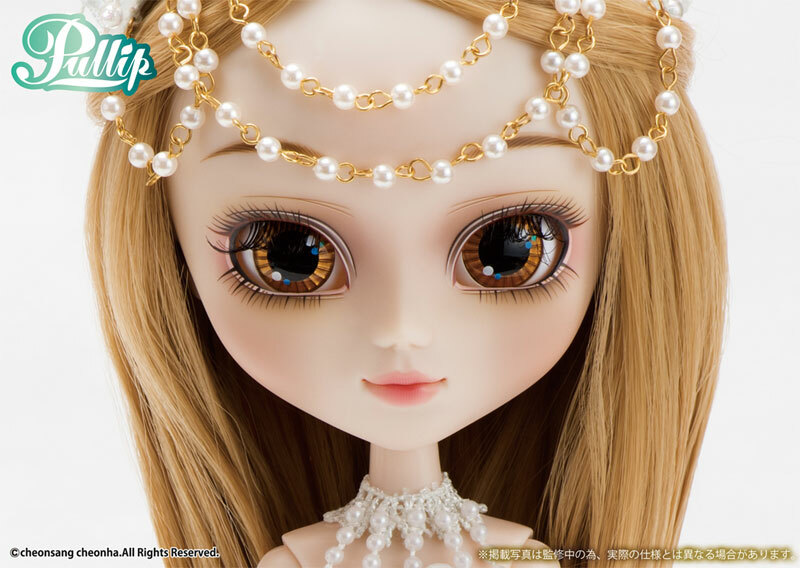 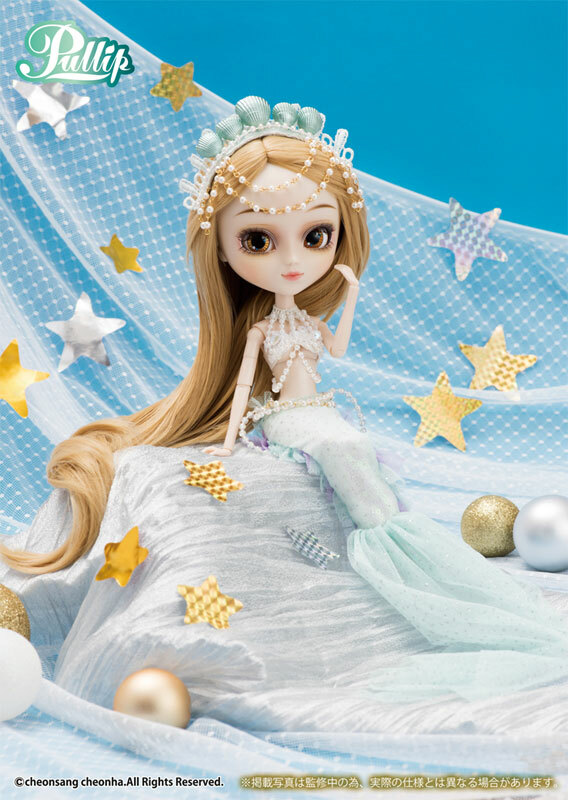 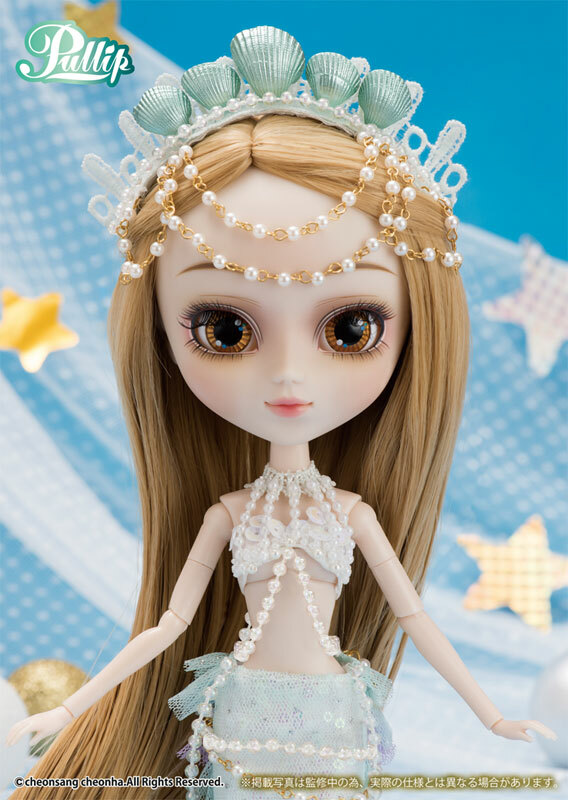 Alrescha Pisces a mermaid themed Pullip was released in December of 2018, she is one of the few fantasy themed releases. 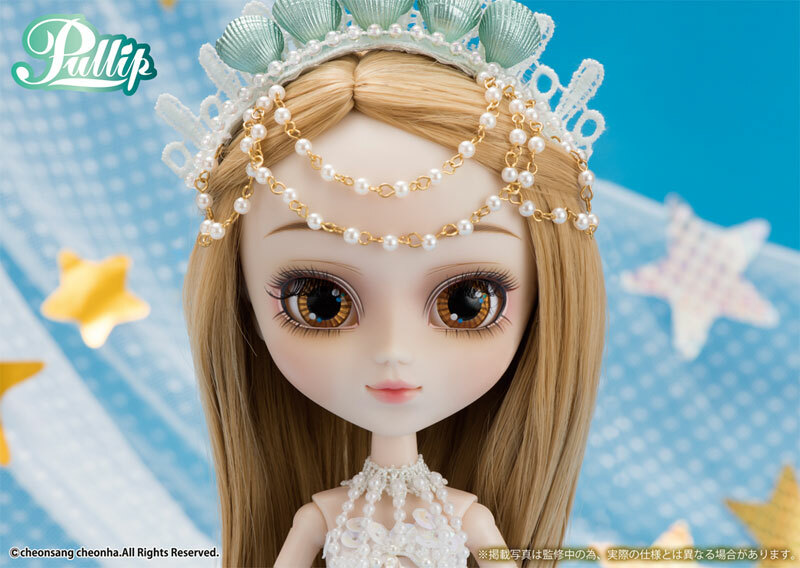 Feel Like So: If you swim in the stars you will sing a song for you – it is a secret whisper, Neptune will let you … Feel Like So. 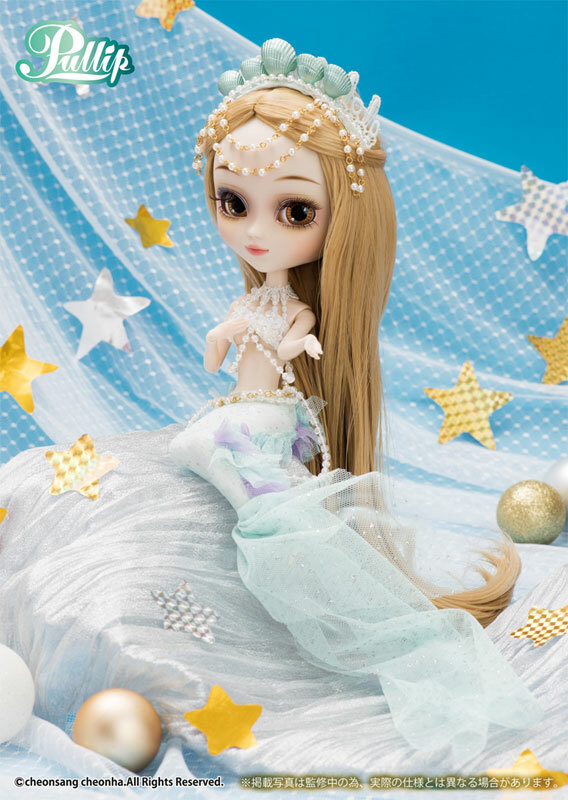 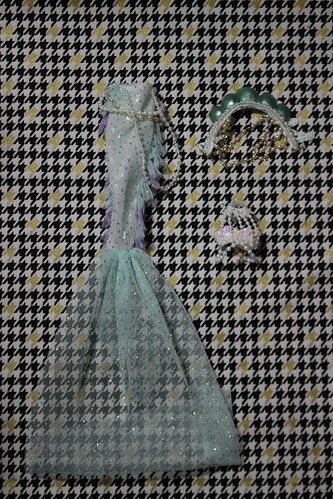 Stock: Pullip Alrescha Pisces’ stock outfit consists of a shell headdress, a bra/swimsuit top and a mermaid tail.